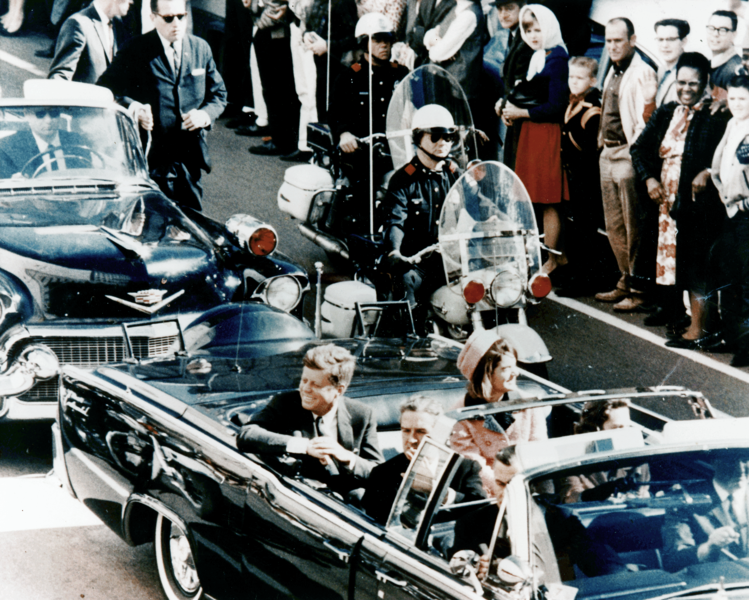 JFK's Assassination: Do Official Reports Tell the Whole Story? JFK’s Assassination: Do Official Reports Tell the Whole Story? In Dallas, Texas on November 22, 1963, the 35th President of the United States, John F. Kennedy, was assassinated. Despite two official investigations concluding that Lee Harvey Oswald shot and killed the President, doubts linger. This is due in no small part to the fact that neither Oswald, nor the official account, has ever been put on trial. Without the credibility that only comes from having survived a vigorous defense in a court of law, the government’s evidence remains, for some, under a shadow of skepticism. So, do the official reports tell the whole story? You decide. One bullet passed through the President’s neck; a subsequent bullet, which was lethal, shattered the right side of his skull. Governor Connally sustained bullet wounds in his back, the right side of his chest, right wrist, and left thigh. The speed of the car at the time of the shooting was established by analyzing amateur film taken by Abraham Zapruder. This is the only video recording of the assassination. Heard a sound similar to a motorcycle noise . . . on turning, she saw a quizzical look on her husband’s face as he raised a left hand to his throat . . . Instinctively turned to the right . . . Unable to see the President as he turned to the right, the Governor started to look back over his left shoulder, but he never completed the turn because he felt something strike him in the back. . . . Governor Connally was certain that he was hit by the second shot . . . Counter to the commission’s conclusion of three shots, Secret Service Agent Roy Kellerman testified he heard a “flurry of shots,” after the second shot. Kellerman stated that he had issued an order to “get out of here fast,” prior to the lethal shot to Kennedy’s head. Compared with bullet fragments found at Parkland Hospital [in Texas where Kennedy had been taken shortly after the shooting] all three bullet fragments were found to be similar in metallic composition. Most convincing evidence relating to the number of shots was provided by the presence on the sixth floor of three spent cartridges which were demonstrated to have been fired by the same rifle that fired the bullets which caused the wounds. The Commission also concluded that: “one shot probably missed the car and its occupants.” As a result, only two bullets caused all of the wounds suffered by Connally and Kennedy. President Kennedy was . . . shot from the rear. The bullet entered in the back of the head and went out on the right side of the skull . . . he was shot from above and behind. By projecting from a point of entry on the rear of the neck . . . the doctors concluded that the bullet exited from the front portion of the President’s neck that had been cut away by the tracheotomy. This bullet was not found in the automobile. Therefore, contrary to Connally’s claim, the Commission concluded that this first bullet was most likely the one that “struck Governor Connally.” The circuitous path that this projectile would have had to take has caused many to call this explanation, the Magic Bullet Theory. Regarding the wrist wound, it was to have entered his arm from the back, “about 2 inches . . . above the wrist joint on the thumb side.” Although one expert had initially said the point of entry for this wound was on the palm side, he later “deferred to the judgment” of another doctor. Just right after this explosion, made me think that it was a firecracker being thrown from the Texas Book Store. . . . And this man that I saw was aiming for his last shot. Other witnesses corroborate that shots were fired from that sixth floor window and gave general descriptions of the shooter that were not inconsistent with a description of Oswald. The second shot, it sounded like it was right in the building, the second and third shot. . . it even shook the building, the side we were on. Cement fell on my head. Prior to November 22, 1963, [he] had noted the similarity of the sounds coming from the vicinity of the Depository and those from the Triple Underpass, which he attributed to a reverberation which takes place from either location. At about 7:15 am on November 22, 1963, Linnie Mae Randle, whose brother drove to work at the Book Depository with Lee Harvey Oswald, observed Oswald carrying a “heavy brown bag” that “tapered . . . and was more bulky toward the bottom.” A brown bag was found on the sixth floor near where the shots were fired. Shortly after the assassination, Patrolman M.L. Baker entered the Book Depository and soon encountered Oswald in the second floor lunchroom. The officer reported: “He didn’t seem to be excited or overly afraid or anything.” Oswald was allowed to leave the building. At about 1:16 pm, Officer J.D. Tippit “was shot less than 1 mile from Oswald’s rooming house.” A variety of evidence was used to tie Oswald to this shooting, including witness accounts from the driver and passengers of a bus, as well as a taxicab operator. Earlene Roberts, the housekeeper at the rooming house where Oswald stayed, testified that at about 1:00 pm, “he entered the house in unusual haste. . . . He hurried to his room and stayed no longer than 3 or 4 minutes.” Fifteen minutes later, Officer Tippit was dead. Six witnesses identified Oswald as the murderer of Tippit in police lineups. At about 1:45 pm, as Oswald entered the Texas Theatre he was observed by Johnny Calvin Brewer, the manager of a neighboring store, who testified: “He just looked funny to me . . . like he had been running, and he looked scared . . . “ Brewer followed Oswald into the building, and when he and theater employee Julia Postal realized Oswald hadn’t bought a ticket, they called police. In addition to witness testimony, the Commission also tied Oswald to the rifle. Business records show it was mailed to a post office box, rented to Oswald, in Dallas, and FBI experts matched the handwriting on the rifle order to him as well. Convened to investigate the assassinations of both JFK and the Reverend Dr. Martin Luther King, Jr. in 1976, this committee challenged the Warren Commission’s conclusion of a single assassin in the killing of President Kennedy. The committee found that . . . President Kennedy was probably killed as a result of a conspiracy. The committee’s finding . . . was premised on four factors:(1) the Warren Commission’s and FBI’s investigation into the possibility of a conspiracy was seriously flawed . . .; (2) the Warren Commission was . . . incorrect in concluding that Oswald and Ruby had no significant associations . . .; (3) a more limited conspiracy cannot be ruled out; and (4) There was a high probability that a second gunman, in fact, fired at the President. Although the House Committee agreed there was likely more than one gunman, it refused to exonerate Oswald, and rather concurred with the Warren Commission that he, in fact, shot and killed the President. The Committee relied on several points in making this conclusion. Finally, although the House Committee agreed that a limited conspiracy was likely, it rejected claims that either the Soviets, the Cubans, anti-Castro Cuban groups, the CIA, the FBI, the Secret Service or even the Mob (as a monolithic entity) was behind the assassination. Thirty years after his death, many records relating to the assassination remained classified. In 1992, in response to the furor raised by Oliver Stone’s compelling 1991 classic JFK, Congress directed the National Archives and Records Administration (NARA) to place all such records in a single collection. An Assassination Records Review Board (ARRB) was charged with deciding how to release records to the public. Although today five million pages are available, some records still remain secret from public scrutiny. According to reports, “thousands more pages primarily from the CIA remain off-limits” at the National Archives. Under the terms of the Act, documents may be withheld, if “military defense, intelligence operations, or conduct of foreign relations” would be compromised by disclosure.